NEW YORK, Oct 18, 2011/ — Photographer Rose Hartman has been chronicling iconic moments in fashion, style, and culture for more than 30 years, capturing New York City nightlife, fashion shows, parties, clubs, and openings. 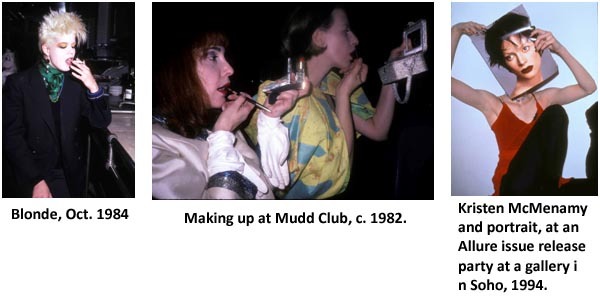 From Studio 54 to the Mudd Club to Chelsea art galleries today, Hartman’s career has yielded a treasure trove of material that portrays incomparable women of high fashion, street style, and New York City society through the eye of a social documentarian. Incomparable Women of Style: Selections from the Rose Hartman Photography Archives, 1977-2011 will display more than 60 photographs, including rare vintage silver prints developed by Hartman in her home studio, as well as some of her most well-known work reproduced on a large scale. Presented by the Fashion Institute of Technology’s Gladys Marcus Library Department of Special Collections and FIT Archives, the exhibition will be on view from November 4, 2011, through January 20, 2012. This exhibition is the first large-scale installation in the library and celebrates Hartman’s generous gift of her entire photography archives to FIT. The women shown in these photographs are a varied selection of style icons. 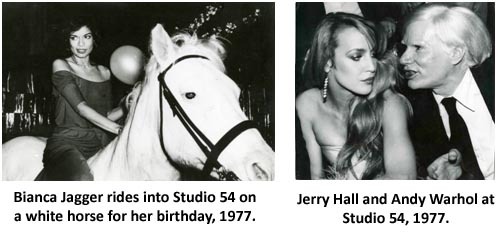 Bianca Jagger, Jerry Hall, Bethann Hardison, Margaux Hemingway, and Nan Kempner were shot at Studio 54 in the late 1970s. Diana Vreeland, Isabella Blow, Anna Wintour, Grace Jones, Vivienne Westwood, Naomi Campbell, Betsey Johnson, Donna Karan, Iris Apfel, Isabella Rossellini, Lauren Hutton, Paris and Nicky Hilton, Courtney Love, Madonna, and Diane von Furstenberg, among many others, were captured at fashion shows, design studios, the Costume Institute Gala at the Metropolitan Museum of Art, art galleries, backstage at fashion shows, and on the street. A group of never-before-seen images of New York City’s underground style icons will also be presented. 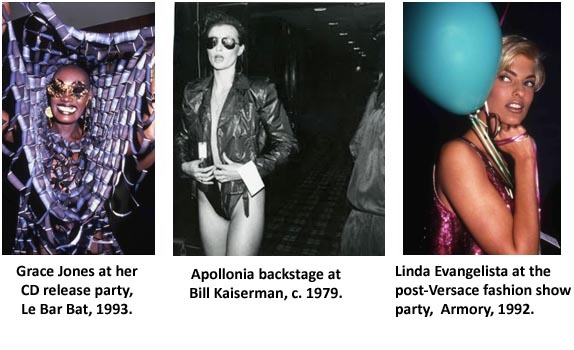 These are the Fashionistas, as Hartman calls them, whose style drove high fashion from the city’s club scene in the late 1970s and early 1980s into the mainstream.